Mary is a Senior Loan Officer with First Rate Financial Group. 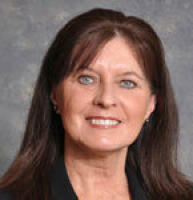 She has been involved in the mortgage industry since 1986 and with First Rate Financial Group since 1995. Her goal is to always maintain a “client for life” with a personal touch approach in consulting her clients’ individual financing needs and options. With an extensive background in the loan origination and real estate financing fields, along with over 25 years in the mortgage industry, she offers her clients the best in experience and knowledge. Mary takes pride in the special relationships she has built with our clients over the years, and nothing makes her happier than to help achieve the dreams and goals of that special home purchase or to offer the individual financing options that are made available by such an experienced team as First Rate Financial Group. Mary grew up in Long Beach, CA, where she attended St. Anthony High School and Long Beach City College prior to moving to the Conejo Valley in 1986. Mary resides in Moorpark, CA, and enjoys sharing time with her family and friends who are very near and dear to her heart.